Task 3. 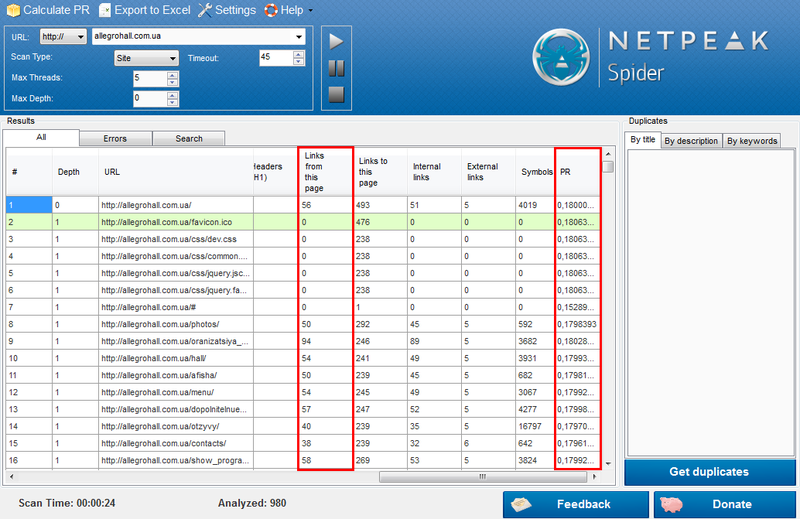 Find the most relevant pages on site for putting links to other pages from the viewpoint of PageRank. 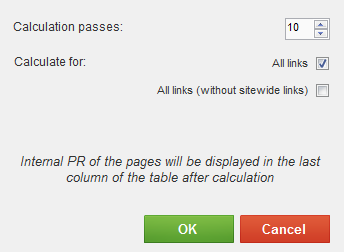 Then we need to download this information in Excel (“URL”, “Links from this page”, “PR” columns) and for every URL we need to find PageRank ratio to the number of links from the page: The obtained data can be used for internal linking or donor selection for external links. Task 4. Find the pages with the small amount of text around images. 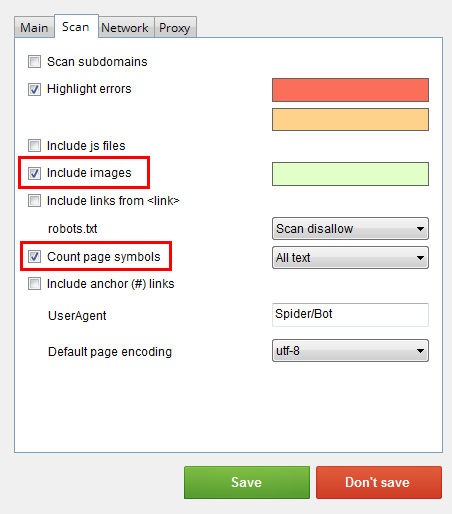 Scan your site and in the tab “Search” in the scan results filter all the images: Download all the images information (“URL” and “Links to this page” columns) and pages information (“URL” and “Symbols” columns) to the Excel. 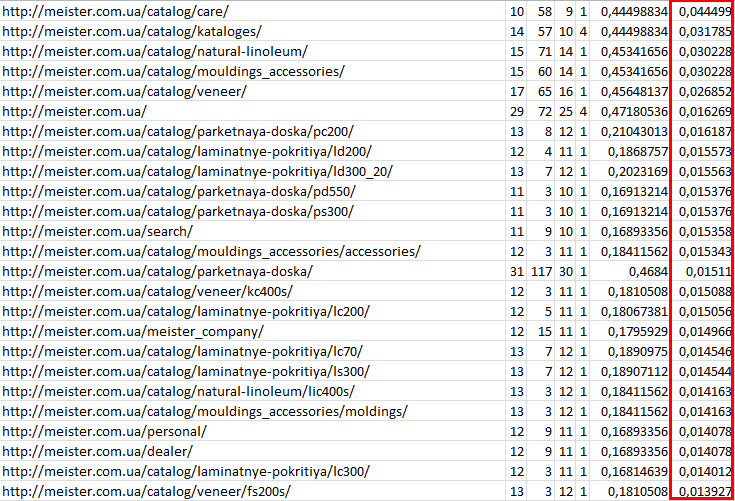 Compare the data from two downloadings by URL of images pages that are referenced by one page. If you are using the same images on different pages, which are not elements of design, you need to take this into account at the time you decide to remove unnecessary images. As a result you will get a table like this: Check pages with the lowest values in column "Symbols" and write thematic content for them. his is a cool tool, helped me find a number of mistakes and reviews that I didn't know I had. Thanks for posting. Hello! I'm interested in your product. Was it developed by your company? Do you have any support opportunities for it? And how much does it cost?